Ginger High- Books R Us: WIN A KINDLE FIRE OR A KINDLE TOUCH IN THE UNSPENT TIME LAUNCH PARTY. 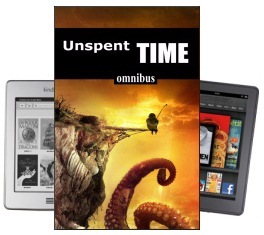 WIN A KINDLE FIRE OR A KINDLE TOUCH IN THE UNSPENT TIME LAUNCH PARTY. (Prizes can be traded for Amazon gift certificates if you already own them.) Just email your receipt to nohopeforgomez@gmail.com to enter. Each purchase counts, so stock up on birthday presents (for people you don't like that much, for instance) The discount ends today, but be sure to send the receipts no later than June 1st.